The Pro-Light Beetle-282 is a sleek, low profile on board* professional backpack designed to provide the best traveling, storage and working solutions.Lightweight and Protective it will cater to the smallest detail of a professionals working needs. Due to constantly changing airline regulations, please check with your carrier prior to departure. The main compartment will hold a large amount of gear such as 2 to 3 DSLR camera bodies with 4-6 lenses (up to 300 mm), flash and many other photo accessories. Use the modular Aeriform Dividers to custom fit your exact gear needs and secure it all snugly in place. The main compartment will hold a small HDV camcorder such as the Panasonic HMC40 with many accessories. Use the modular Aeriform Dividers to custom fit your exact gear needs and secure it all snugly in place. The Gecko EVA foam harness straps feature 3D tapered thickness to provide extra cushioning where it counts, micro hatch texture secures position firmly and comfortably and shapely contour fits your body organically.The adjustable hip belt is designed to fit your shape and transfer the weight of your gear off your back.Aluminium clinch connection sternum strap adjusts to various heights for effortless modularity. 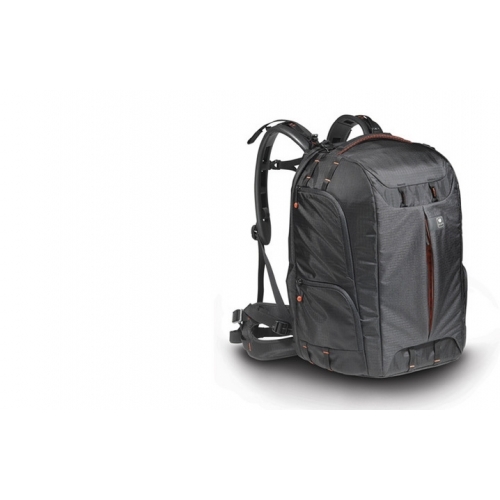 The rear opening allows the camera gear within to be secured by a full zippered flap which sports flat storage pockets.Along the back panel is a full length, top access, Elasto-Guard 17'' laptop pocket. Quickly open the backpack and pass it through airport security scans without removing the laptop from its compartment. The provided tripod sling attaches easily to either the front or side of the Beetle to comfortably carry your shooting tripod. 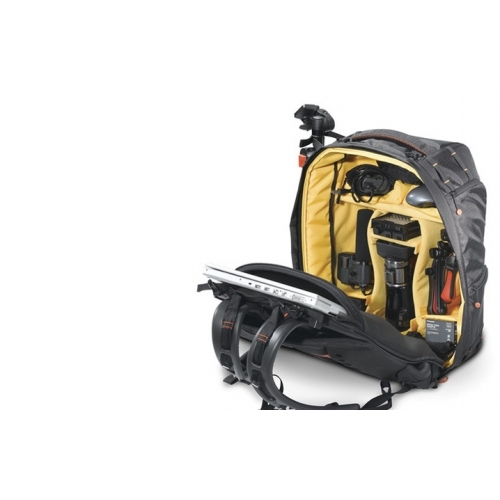 Carry tripod on the front of the backpack to enjoy the best balance and weight distribution. Alternatively carry tripod on the side of the bag or slide two legs through the insertrolley sleeve on the back of the bag. Insertrolley connection is available for wheel-along transportation and easily slides through the dedicated sleeve on the front of the bag. (Insertrolley not included). Install the double-sided Elements Cover for protection in all weather and environment conditions. Black side protects against rain. The silver side of the Elements Cover deflects direct sunshine and keeps your digital gear from overheating. 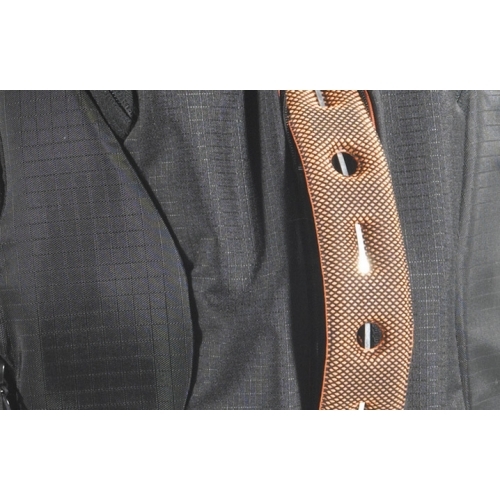 The specially formed foam encased spring steel Spine Guard provides ultimate structural protection.